Personal growth and self help for the seriously motivated! Every month for the past 3 years I have been doing a “streak”. A streak is a daily activity I do for a certain amount of days to move me toward a healthy habit or something I want in my life. Last year I started invited others to join me. I wanted to introduce them to this “baby steps” approach to life that has worked so well for me. 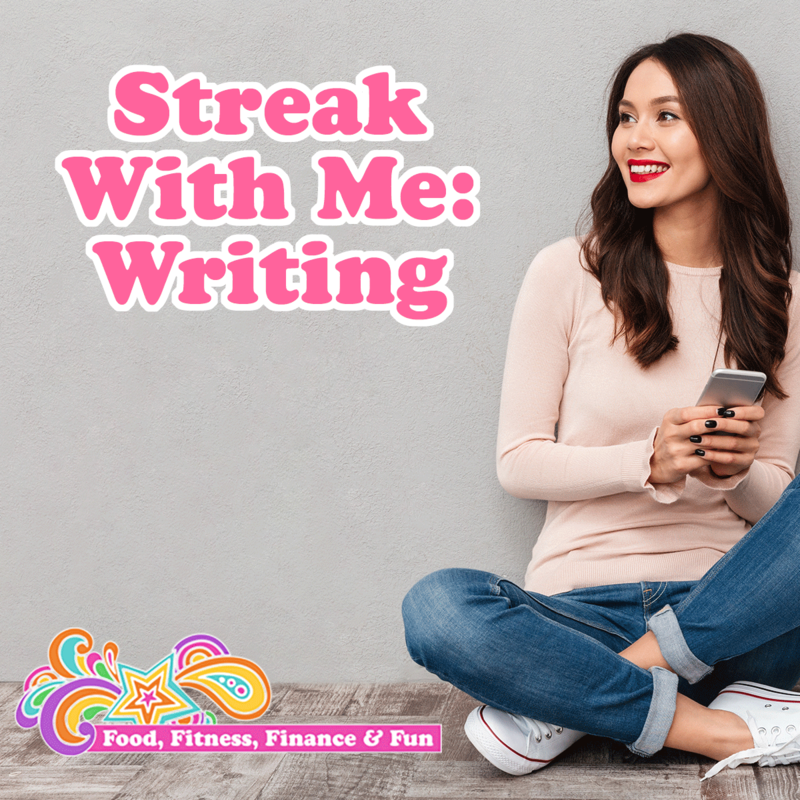 So each month I make a facebook event and invite all my social media peeps to join me in streaking! The great thing about this challenge is that each individual gets to decide what he/she wants to streak. It can be something in the fitness or nutritional world (like run a mile or drink a gallon of water) or it can be something completely unrelated (like flossing or telling your kids how much you love them). I have done several different streaks involving all areas of my life. This month I am doing a writing streak. I have tried this streak several times over the past couple years, and the longest I have gone is 6 days. The week days are very easy for me to schedule things in, but my weekend plans are all over the place and I typically just forget to continue the streak since it’s not quite a habit for me yet. This time around I decided to shorten my minimum. The first time I attempted this streak, I chose a minimum of 30 minutes. The second time, I tried for 15 minute minimum. The next, 10. This time (after several fails) I decided to go for something there is NO excuse for not completing…5 minutes of writing a day! Some people would say “what’s the point of writing 5 minutes a day?” It all adds up, baby steps, building good habits, doing small easy tasks each and every day to move toward a bigger goal and ultimately to the life of your dream. That’s the point! I lead a “streaking” challenge every month. It’s more fun to streak with friends! What would you streak? What could you change in your daily routine that will make a huge difference in your life over time? Stay up to date on all the news! O.M.G!! Dave Ramsey Baby Step One…AGAIN!